Published today, a two-year study of Android security updates has revealed a distressing gap between the software patches Android companies claim to have on their devices and the ones they actually have. Your phone’s manufacturer may be lying to you about the security of your Android device. In fact, it appears that almost all of them do. Coming at the end of a week dominated by Mark Zuckerberg’s congressional hearings and an ongoing Facebook privacy probe, this news might seem of lesser importance, but it goes to the same issue that has drawn lawmakers’ scrutiny to Facebook: the matter of trust. Facebook is the least-trusted big US tech company, and Android might just be the operating system equivalent of it: used by 2 billion people around the world, tolerated more than loved, and susceptible to major lapses in user privacy and security. The gap between Android and its nemesis, Apple’s iOS, has always boiled down to trust. Unlike Google, Apple doesn’t make its money by tracking the behavior of its users, and unlike the vast and varied Android ecosystem, there are only ever a couple of iPhone models, each of which is updated with regularity and over a long period of time. Owning an iPhone, you can be confident that you’re among Apple’s priority users (even if Apple faces its own cohort of critics accusing it of planned obsolescence), whereas with an Android device, as evidenced today, you can’t even be sure that the security bulletins and updates you’re getting are truthful. Version updates are slow, if they arrive at all. I’ve been covering Android since its earliest Cupcake days, and in the near-decade that’s passed, there’s never been a moment of contentment about the speed of OS updates. Things seemed to be getting even worse late last year when the November batch of new devices came loaded with 2016’s Android Nougat. Android Oreo is now nearly eight months old — meaning we’re closer to the launch of the next version of Android than the present one — and LG is still preparing to roll out that software for its 2017 flagship LG G6. Promises about Android device updates are as ephemeral as Snapchat messages. Before it became the world’s biggest smartphone vendor, Samsung was notorious for reneging on Android upgrade promises. Sony’s Xperia Z3 infamously fell foul of an incompatibility between its Snapdragon processor and Google’s Android Nougat requirements, leaving it prematurely stuck without major OS updates. Whenever you have so many loud voices involved — carriers and chip suppliers along with Google and device manufacturers — the outcome of their collaboration is prone to becoming exactly as haphazard and unpredictable as Android software upgrades have become. Google is obviously aware of the situation, and it’s pushing its Android One initiative to give people reassurances when buying an Android phone. Android One guarantees OS updates for at least two years and security updates for at least three years. But, as with most things Android, Android One is only available on a few devices, most of which are of the budget variety. You won’t find the big global names of Samsung, Huawei, and LG supporting it. 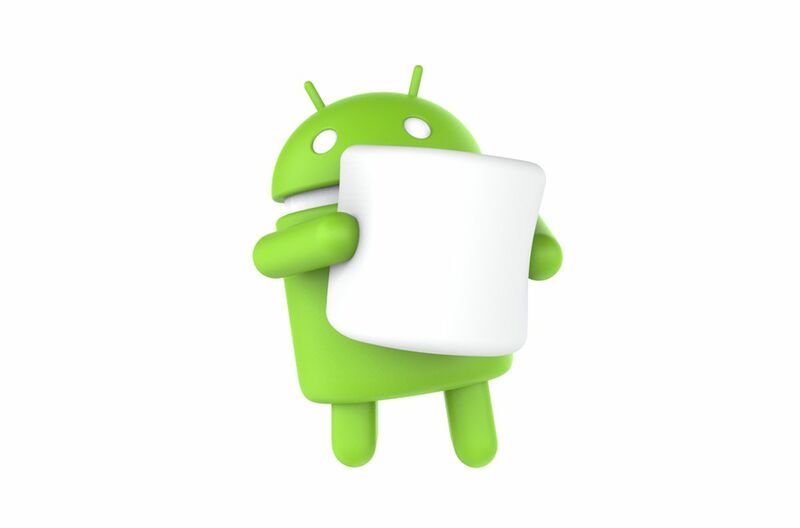 Some Android OEMs snoop on you. This is an ecosystem problem rather than something rooted in the operating system itself, but it still discolors Android’s public reputation. Android phone manufacturers habitually lade their devices with bloatware (stuff you really don’t want or need on your phone), and some have even taken to loading up spyware. Blu’s devices were yanked from Amazon for doing exactly that: selling phones that were vulnerable to remote takeovers and could be exploited to have the user’s text messages and call records clandestinely recorded. OnePlus also got in trouble for having an overly inquisitive user analytics program, which beamed personally identifiable information back to the company’s HQ without explicit user consent. Huawei is perhaps the most famous example of a potentially conflicted Android phone manufacturer, with US spy agencies openly urging their citizens to avoid Huawei phones for their own security. No hard evidence has yet been presented of Huawei doing anything improper, however the US is not the only country to express concern about the company’s relationship with the Chinese government — and mistrust is based as much on smoke as it is on the actual fire. Android remains vulnerable, thanks in part to Google’s permissiveness. It’s noteworthy that, when Facebook’s data breach became public and people started looking into what data Facebook had on them, only their Android calls and messages had been collected. Why not the iPhone? Because Apple’s walled-garden philosophy makes it much harder, practically impossible, for a user to inadvertently give consent to privacy-eroding apps like Facebook’s Messenger to dig into their devices. Your data is simply better protected on iOS, and even though Android has taken significant steps forward in making app permissions more granular and specific, it’s still comparatively easy to mislead users about what data an app is obtaining and for what purposes. Android hardware development is chaotic and unreliable. For many, the blistering, sometimes chaotic pace of change in Android devices is part of the ecosystem’s charm. It’s entertaining to watch companies try all sorts of zany and unlikely designs, with only the best of them surviving more than a few months. But the downside of all this speed is lack of attention being paid to small details and long-term sustainability. Samsung’s Galaxy Note 7 is the best and starkest example of the dire consequences that can result from a hurried and excessively ambitious hardware development cycle. The Note 7 had a fatal battery flaw that led many people’s shiny new Samsung smartphones to spontaneously catch fire. Compare that to the iPhone’s pace of usually incremental changes, implemented at predictable intervals and with excruciating fastidiousness. Besides pledging to deliver OS updates that never come, claiming to have delivered security updates that never arrived, and taking liberties with your personal data, Android OEMs also have a tendency to exaggerate what their phones can actually do. They don’t collaborate on much, so in spite of pouring great efforts into developing their Android software experience, they also just feed the old steadfast complaint of a fragmented ecosystem. Dieser Eintrag wurde veröffentlicht in Privacy und getaggt mit Android, Privacy am 16. April 2018 von innovation.